Grant Application Program Information — COPE2Thrive LLC - Programs to help children and teens coping with stress, anxiety, depression. 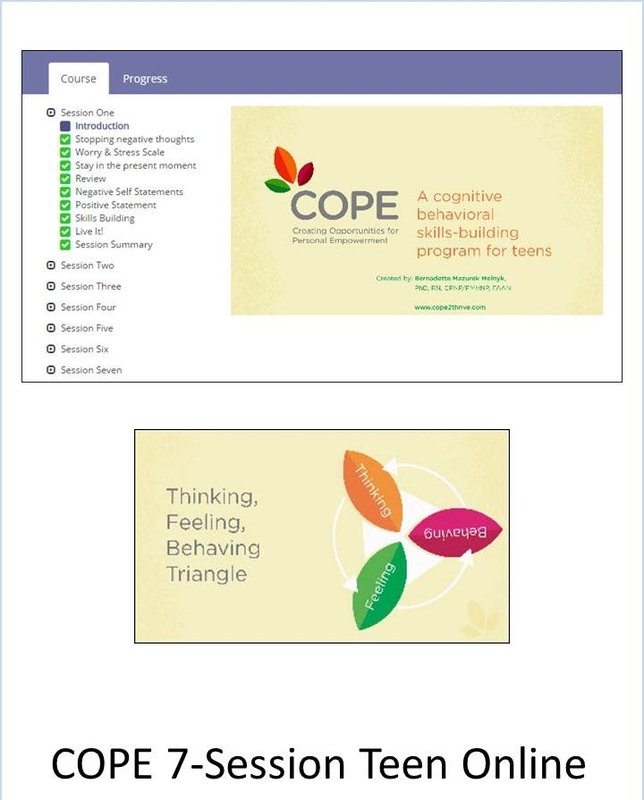 Program information for schools and health facilities applying for health and wellness in schools and other grants.to utilize COPE2Thrive programs. 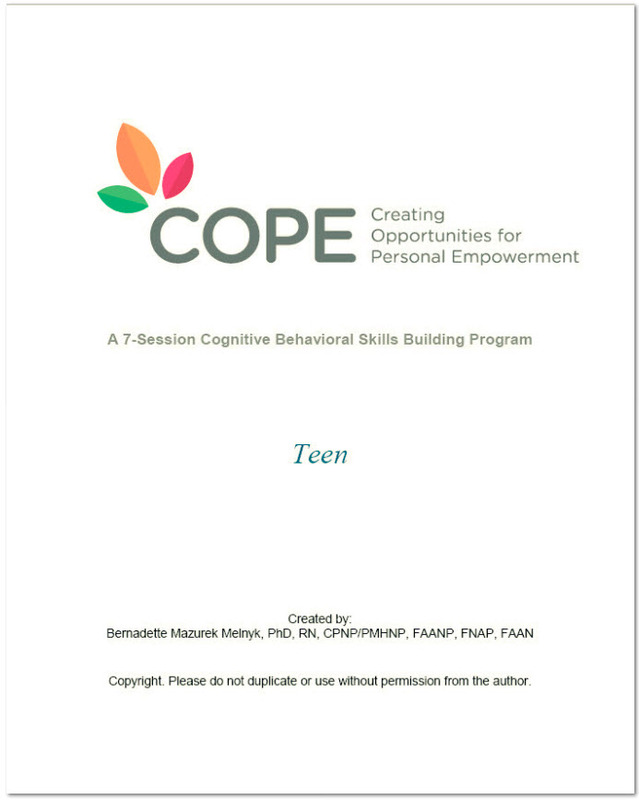 Cognitive Behavioral Therapy-based (CBT) programs designed to help children and teens dealing with anxiety, stress and depression by showing them how to develop the skills needed to stop negative thoughts and start thinking and behaving in more positive ways. COPE2Thrive is committed to assisting schools and healthcare practices pursuing grants or other types of funding to help introduce our programs into classrooms, curriculum or professional practices. Links to potential funding sources and additional information on our currently-available programs are shown below. If you are currently preparing an application for a 'health and wellness in schools' or other grant and need additional information on our programs, please don't hesitate to contact us. Tell us about other health and wellness-related grants! Session One: Thinking, Feeling and Behaving: What is the Connection? Session 7: Pulling it All Together for a Healthy YOU! Session Seven: Pulling It All Together for a Healthy YOU! 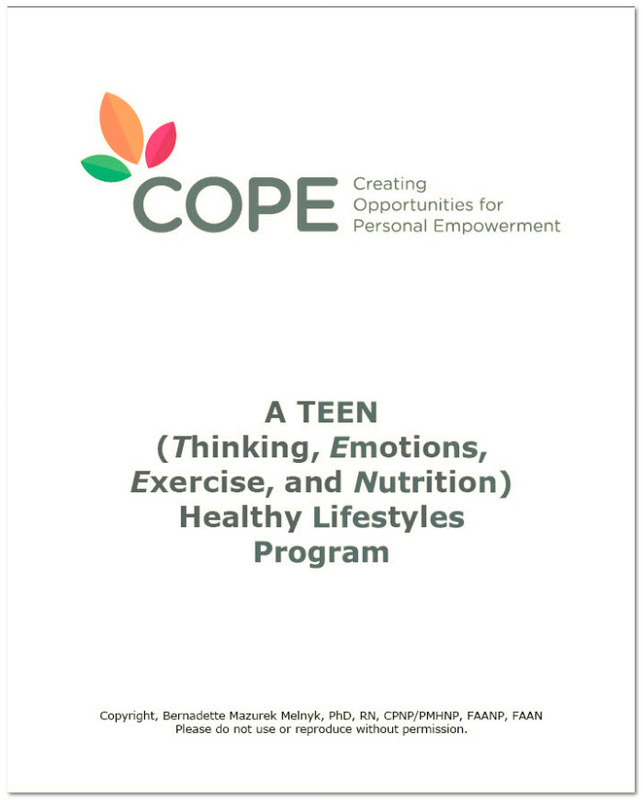 The National Cancer Institute has designated the 15-Session COPE Healthy Lifestyles TEEN Program as a Research Tested Intervention Program for obesity control. Session Fifteen: Pulling It All Together For a Healthy You! • How do you cope with stress? *Organizations and links posted on this page are provided as a service to our clients and do not represent an endorsement of any companies, foundations or grants.